Recently we had the pleasure of working with such amazing vendors for the Jann Marie Bridal Pop Up Fitting Event. Oh the beauty. This shoot was an absolute dream to be a part of. Beautiful dresses, gorgeous colors, bright whites, sweet backdrops, and so much more. We are in awe of these jaw dropping photos from the day and couldn't wait to share with you all! Did you know that here at the Mims House we host an OPEN HOUSE from 4 - 7 PM every single Wednesday?! If you haven't had a change to make it out to our open house yet, then hop on in and say hi! We would love to show you around our beautiful home. We'll see you then! Now sit back, relax, and dive in to all things bridal! 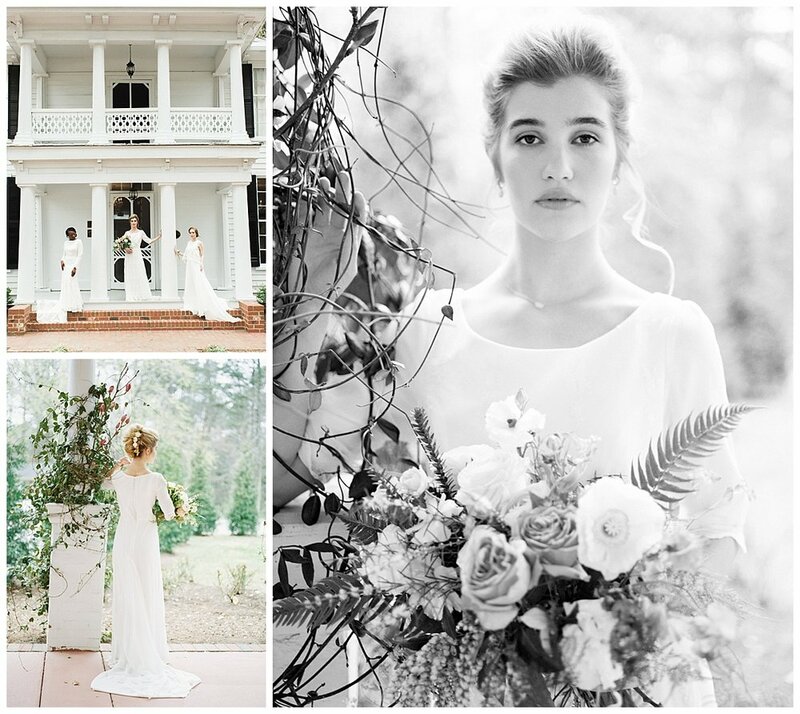 Photography: Forage and Film | Dresses: Jann Marie Bridal | Flowers: Bower Bird Flowers | Design: Amanda Blair by Design | Venue: Leslie - Alford Mims House | Hair and Makeup: Wink Hair + Makeup | Rentals: Cottage Luxe | Cake: Sugar Euphoria | Paper Goods: Ten Acre Paper Co.